What better way to savor the delicious flavors of Italian food, then on this 3-hour walking Milan food tour, which centers mainly on the historic and bohemian district of Brera, where old world charm meets a trendy and youthful vibe in one of Milan’s oldest districts. Your private food expert will teach you how to identify traditional melanzane alla parmigiana (eggplant Parmigiano), cannoli (Sicilian desert of cream filled pastry), pizza in teglia (pizza in a pan), Milanese-style meatballs and some of Milan’s artisan beers. Wash this down with Milanese digestive grappa, Italy’s fruity, ancient drink or ‘barbajada’, a frothy concoction of chocolate, coffee and cream known only to locals! 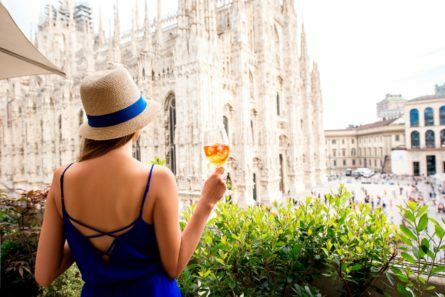 After all this hard work, crown your visit with a Milan-style aperitif at a trendy bar, and take away with you hints and tips on the best Milan restaurants and cafes.